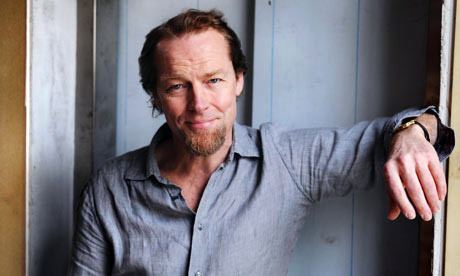 Leading actors do not often make the leap into directing, but Iain Glen has wanted to for years. “I’ve been aware of the work I do as an actor _being directorial in feel,” he says, “I have ideas about how a play could manifest itself, a sort of overall picture. But 95% of the time, I keep my mouth shut.” And it might have remained that way, had the producer Thelma Holt not intervened. Which is why for the past few weeks he has been locked in a rehearsal room in a former factory in London, preparing for his directorial debut. “I’ve never been so wired,” he says. His elder brother Hamish is a director – he runs the Belgrade in Coventry – but Glen hasn’t sought his advice. He doesn’t need to: in his 25-year career, he has worked with Nicholas Hytner, Richard Eyre, Michael Boyd, Declan Donnellan, Dominic Cooke and Sam Mendes, soaking up influences that other fledgling directors might never encounter. You wouldn’t know it to see him on stage: whether he is performing in Miller, Chekhov or Shakespeare, Glen is a commanding presence, meticulously illuminating a character’s psyche. In person, though, this 48-year-old is as fidgety as a toddler. He tugs at the collar of his blue linen shirt, rubs his tummy, does up a button, stretches out his legs, snaps upright, scratches his ankle, musses his hair, cups his blond goatee. Sitting next to him in an auditorium must be a nightmare. His fractious youth is now “the cause of great laughter” in his family; he is lucky that his own 14-year-old son Finlay, from his marriage to actor _Susannah Harker, isn’t giving his father the same hell. “Finlay’s a mellow soul,” says Glen. He and Harker divorced in 2004; Glen met his current partner, Charlotte Emmerson, while they were acting in different productions at the National Theatre. The couple have a two-year-old _daughter, Mary, whose “manic ebullience” sounds more typical of her father – and who ensures that he stops thinking about work the moment he arrives home. Ghosts is at the Duchess Theatre, London WC2, from 11 February.